Daikin Split System Air Conditioners are ideal for air conditioning one room or a specific area of a home.With a remarkable blend of iconic design and engineering excellence, the Daikin Zena is designed to impress. 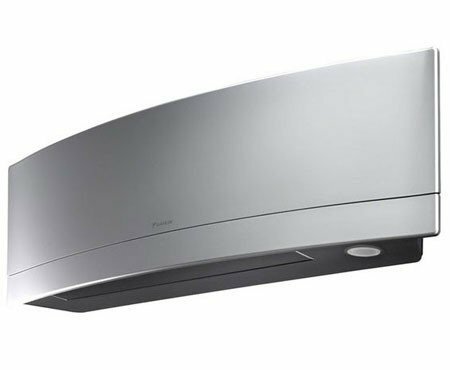 Engineered in Europe, with enabled Wi-Fi connection, the Daikin Zena is available in a silver finish or pure matte white finish.The aerodynamic, curved front panel of the indoor unit is unique and contemporary in design. When operational, the front panel gently lifts upwards to allow conditioned air to be delivered into your room quietly and efficiently. The Daikin FTXJ25PS Air Conditioner was added to the Air Conditioners category in November 2016. The lowest price GetPrice has found for the Daikin FTXJ25PS Air Conditioner in Australia is $1,250.00 from Airconditioning-Online. Other merchants who stock it are Airconditioning-Online.